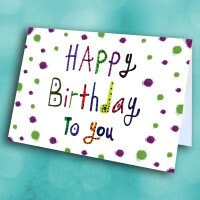 This unique and artsy birthday card is perfect to light up a special day. 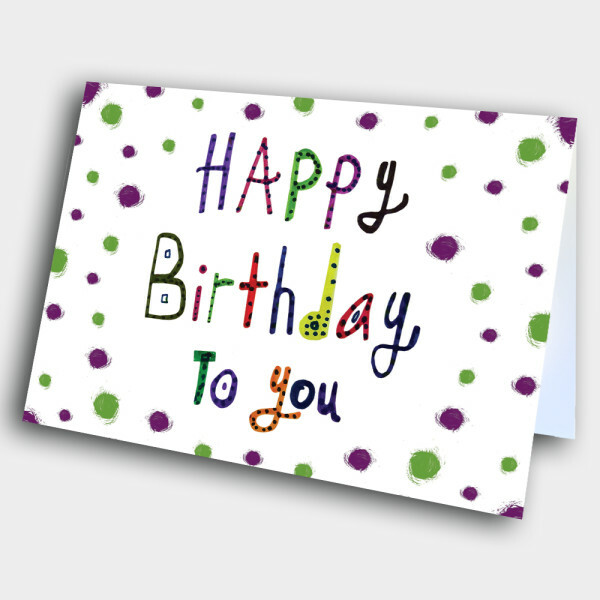 The fun and festive design of this birthday card is sure to bring joy to anyone who recieves it. 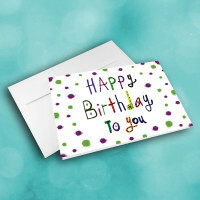 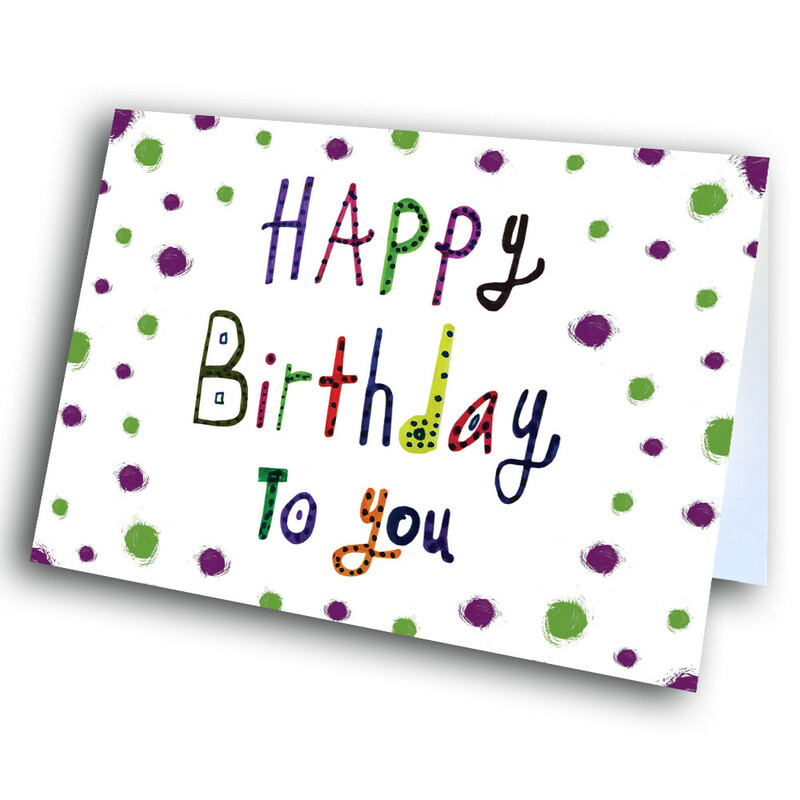 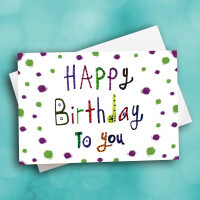 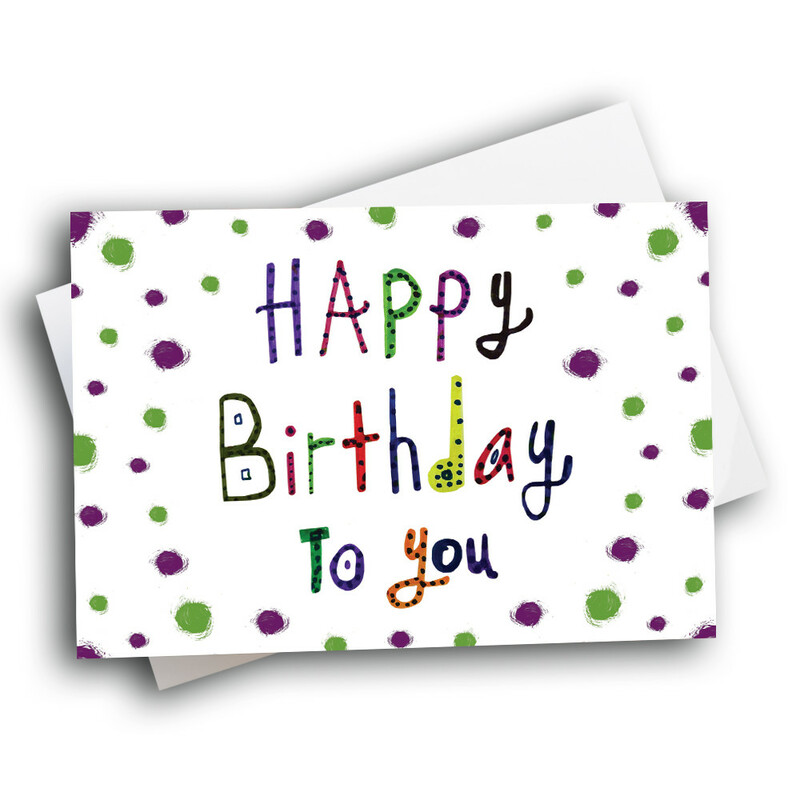 The front is spotted with fuzzy, green and purple polka dots, surrounding the colorful, dotted birthday greeting. 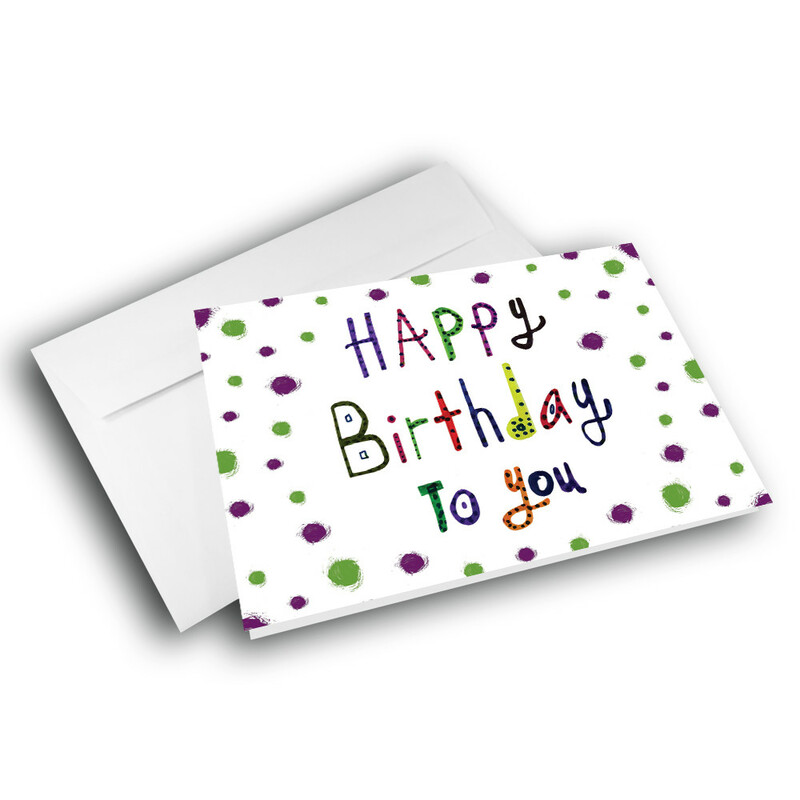 Inside, the message can be customized to give this card your personal touch.